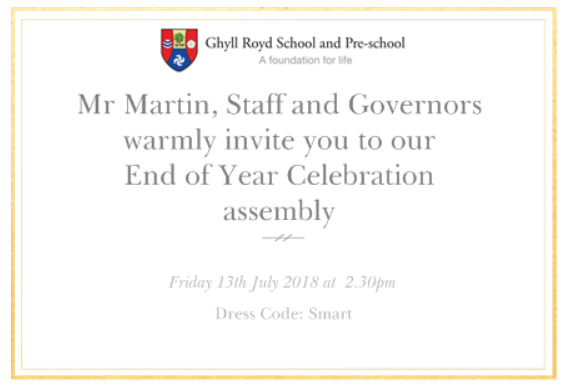 Mr Martin, staff and governors invite you to our End of Year Celebration Assembly. Celebrate the end of another fantastic year at Ghyll Royd and wave goodbye to our departing Form 6 class. Pupils in Form 6 will deliver speeches about their time at the school, accompanied by musical performances. Awards for the Summer term will also be given out in an end of term ceremony. All welcome.